Blackjack players have their own unique language, made up of special blackjack betting terms and game slang. 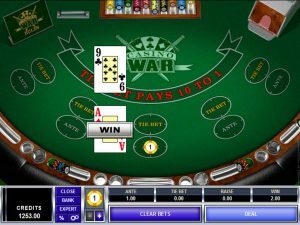 The following list of terms is perfect for people new to the game of blackjack, or those who want to play blackjack in the casino but are overwhelmed by all the jargon. Blackjack players have slang for each of the positions around the table. The blackjack player sitting in the last position on the table, to the dealer’s far right, is the anchorman. The anchorman is also the last to act in any round of blackjack. Blackjack can refer to the game itself or a hand that wins automatically. A blackjack hand contains an Ace and any ten point value card. Any hand that totals more than 21 points is a bust, making the player holding that hand an automatic loser. Busting is what every player at the blackjack table is trying to avoid, while beating the dealer’s point total. Card counting is a strategic way of keeping track of what cards have been played and what cards still remain in the deck. Card counting is usually a mathematical formula for remember what cards have already been dealt at a blackjack table. In blackjack, the dealer is the casino employee who sits opposite the blackjack players and deals the cards. The dealer also participates in the game, and must follow strict rules governing his blackjack play. Blackjack decks are standard decks of 52 cards. Some games of blackjack use just one deck, others use multiple decks. The set of cards the blackjack dealer draws from is called the shoe. Double down is a blackjack tactic that allows a player to double his bet after betting has taken place in exchange for drawing just one more card. This rule available at some blackjack tables allows players to give up half of their bet as protection against a dealer blackjack, returning the other half to their hand. Play Blackjack Live! Take on a live dealer as you race to 21 in this all-time casino classic. Easy to learn, play and win! Any blackjack deck that contains more cards that are in the player’s favor is referred to as a favorable deck. The opposite is obviously an unfavorable deck. This is generally a card counter’s term referring to a deck with fewer small point value cards. 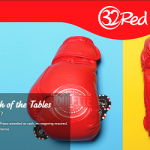 A term related to seat position in blackjack, the first baseman is the player in the first seat of the table. The first baseman sits on the dealer’s far left, and is the first to act in any round of blackjack. Blackjack bettors that place the same size bet each hand without varying the bets at all are said to be placing flat bets. In any casino game, the floorman is the casino employee that acts as a supervisor, watching over the dealers to ensure fair play. Hands are said to be hard if they do not contain an Ace or if the Ace must count as one for the point total. The opposite of a hard total or hard hand is a soft hand, and basic blackjack strategy differs between hard and soft hands. Head-to-head blackjack games take place at short-handed tables with just one player versus the dealer. The hole card in blackjack is the dealer’s hidden card. His other card, the one visible to all other players, is called the upcard. Insurance is a side bet in blackjack offered when the dealer’s upcard is an Ace. It is basically a bet that the dealer has blackjack, and offers terrible odds unless you are counting cards and have some knowledge of the likelihood of a dealer blackjack . Natural is blackjack slang for a blackjack, a hand made up of an Ace and ten point value card. The word paint refers to any card with a painted picture on it, meaning any face card: Jack, Queen, or King. Penetration refers to how far into the shoe the dealer gets before he shuffles again. This term is usually used by card counters to describe how much play occurs before each shuffle. A push in blackjack is a tie between the dealer and the player. Push means that neither the dealer nor the player wins or loses, with all wagers returned. A push usually happens with a value of 17 or higher. In blackjack, a round is a complete series of plays where every player at the table and the dealer acts on their given hands. This slang term refers to the actual box containing however many decks of cards makes up a blackjack game. The shoe is designed to deal one card at a time, and can contain anywhere from one to many multiple decks at a time. In some parts of the world blackjack is known as snapper. The opposite of a hard total, a soft total is any blackjack hand containing an Ace that is valued at 11 points. Splitting pairs is a player option that allows you to break up identical cards and play them as separate hands. Any cards ranked between 2 and 6 that usually force the dealer to take a hit. Stiff hands are made up of a ten point value card and any stiff card, for a total of 12-16. Since the dealer has to hit up to a point total of 17 in most games, and since there are more 10 point value cards than any other, a stiff hand usually leads to a dealer bust. The surrender option in blackjack allows a player to give up half of his bet after the dealer checks for a blackjack. Any deck that contains a small number of cards worth ten points. The opposite of a ten-poor deck, a ten-rich deck is any blackjack deck where there are more ten point value cards than cards of any other point total. Some people call the game of blackjack twenty-one, the point total after which a player goes bust. The upcard is the dealer’s exposed card, the one that all players can see. Now that you’ve learned the most important terms for Blackjack, perhaps you are ready for some fun card action? Our Online BlackJack Casinos section features top rated online casinos for Blackjack. If you feel like spicing things up a notch, we highly recommend you visit our Live Blackjack section with Real Dealers. Playing against live dealers online is almost the same as being at a table in a real casino. 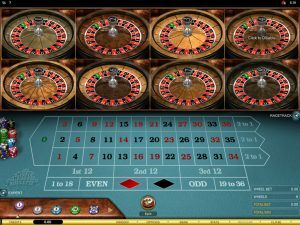 Are Multi-Ball Roulette Games High Risk Games? 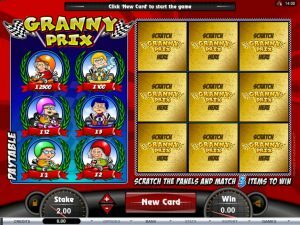 Are there any Benefits of Playing Scratchcard Games? Can I Ask an Online Casino Host for a Bonus?